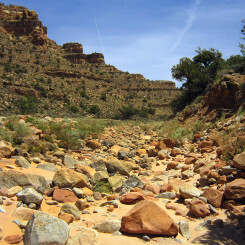 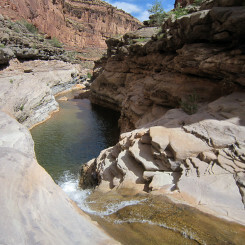 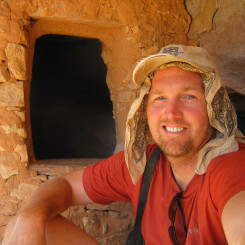 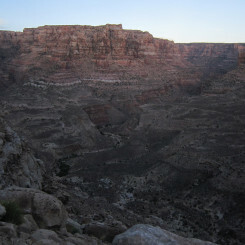 Dark Canyon – Across Utah! 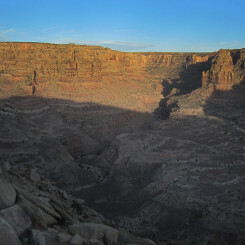 Dark Canyon is an amazing place. 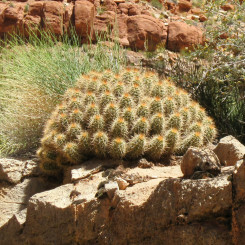 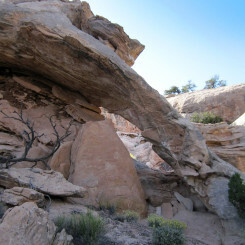 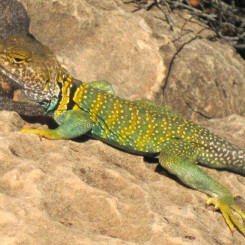 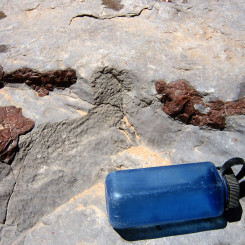 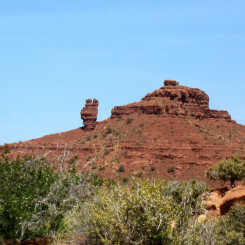 It’s a Wilderness Study Area and was briefly included in the newly-formed Bears Ears National Monument, before being removed as part of the downsizing by the Trump Administration. 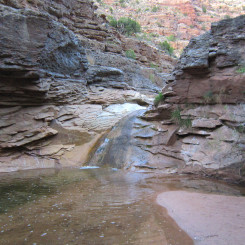 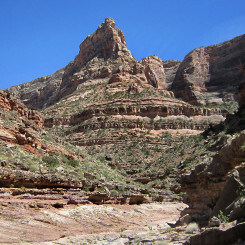 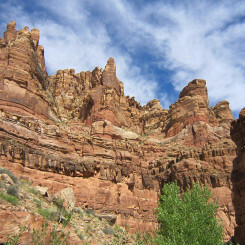 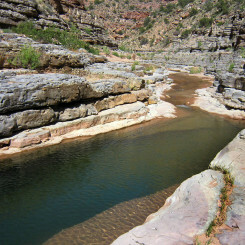 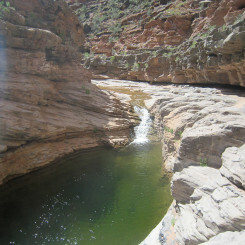 The Hayduke Trail travels a portion of the canyon from the junction with Youngs Canyon to the Sundance Trail exit. 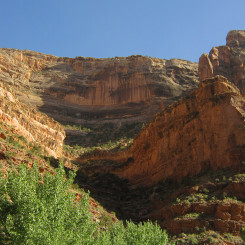 There are no major obstacles in Dark Canyon, though travel down through the lower canyon (below Sundance Trail) includes a few sketchy ledges. 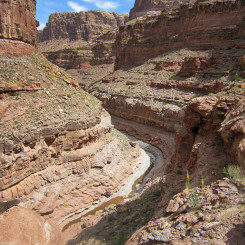 Between Youngs and Sundance there are some route-finding challenges to avoid deep pools and then above Youngs is a minor obstacle for which there is an easy bypass on the south side. 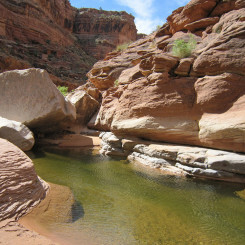 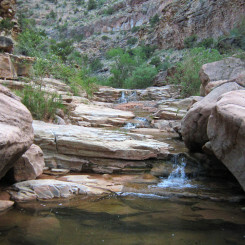 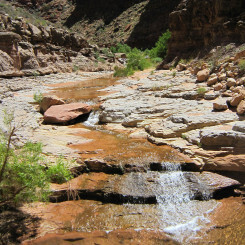 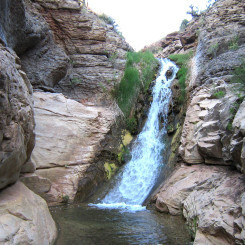 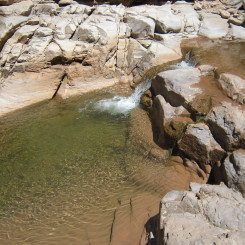 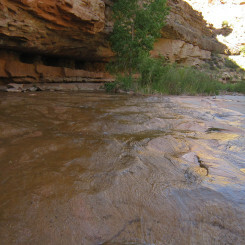 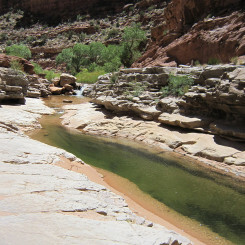 The water disappears upstream from Youngs until up above the junction with Woodenshoe Canyon. 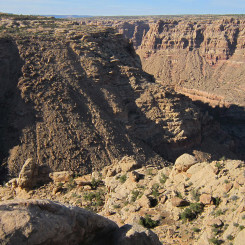 This dry, cobblestone-filled stretch is the least fun part of the canyon to visit. 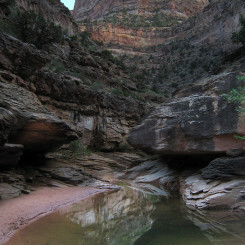 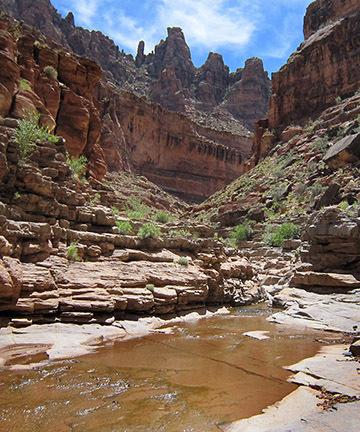 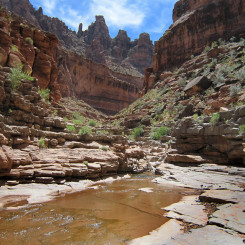 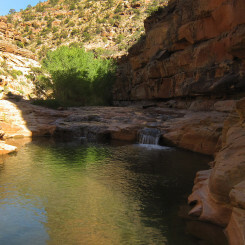 Farther up toward Trail and Horse Pasture Canyons the water flows again and eagle-eyed hikers will spot a few cool ruins and arches.